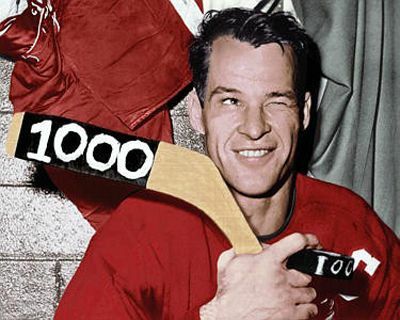 On this date in 1960, Gordie Howe became the first player in NHL history to score 1,000 career points. 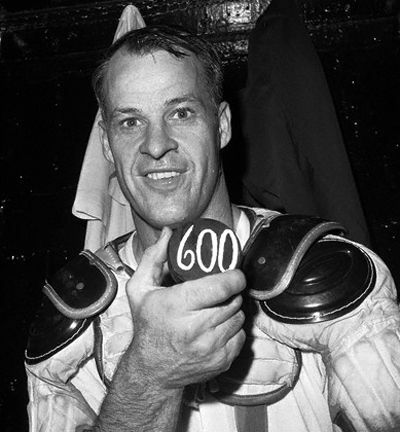 Five years to the day later, Howe scored his 600th NHL goal on this day in 1965. 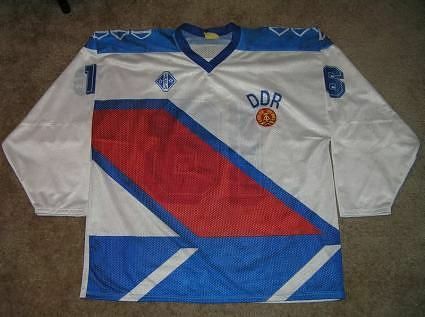 Mr. Hockey® made his NHL debut in 1946, wearing #17 and changed to his iconic #9 at the start of the following season for the purpose of a more preferable sleeping berth on the train while the team was traveling, as the accommodations were more spacious in the lower berths and were allocated based on each players sweater number. 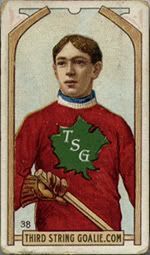 One of the most dominate players in NHL history, Howe would finish in the top five in league scoring for twenty straight seasons. Teamed with linemates Sid Abel and Ted Lindsay, "The Production Line" would dominate the NHL and lead Detroit to first place in the regular season standings for each of the four seasons they played together from 1948-49 to 1951-52, a span that would include a pair Stanley Cup Championships in 1950 and 1952. So dominant was the line that they finished first, second and third in league scoring in 1949-50, led by Lindsay's 78 points in 69 games. 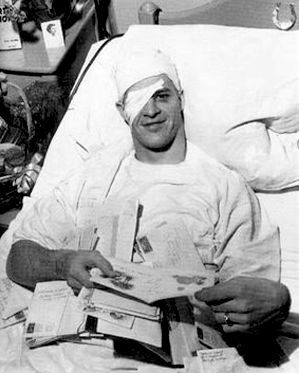 Howe would not be around to lift the Stanley Cup in 1950, having suffered a fractured skull earlier in the playoffs, which required emergency surgery to relieve the pressure. Howe would return to form the following season of 1950-51, scoring 86 points to win the scoring title by 20 points over his nearest competition, the first of seven times he would win the Art Ross Trophy. 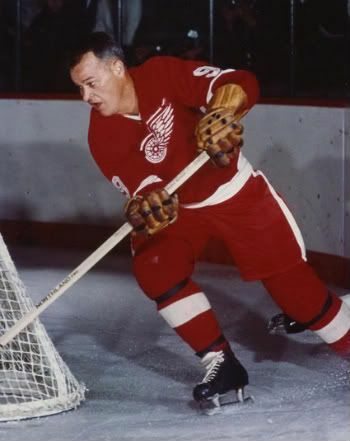 Howe would continue throughout the 1950's to accumulate championships and awards, winning the Stanley Cup in 1950, 1952, 1954 and 1955, the Art Ross Trophy as scoring champion from 1951-1954 and 1957, and the Hart Memorial Trophy as the league MVP in 1952, 1953, 1957, 1958 and 1960. It was on this date in 1960 that Howe registered an assist in a 2-0 win over the Toronto Maple Leafs to score his 1,000th NHL point, the first player in the 44 year history of the league to reach that milestone and he did it in his 938th game. 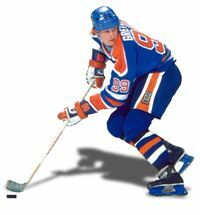 It would be another eight years before Jean Beliveau would become the second and another 20 years before Howe would score his final point! Remember, Howe already had 14 years in the league behind him at this point. 1963 would see Howe capture both the Art Ross and Hart Trophies once more and on this date in 1965 Howe would score his 600th NHL goal in a game versus the Montreal Canadiens, becoming the first player in NHL history to record 600 goals. 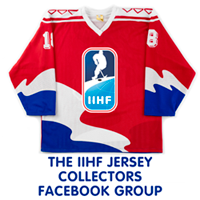 It would be until 1972 until Bobby Hull would become the second to 600. For comparison, Maurice Richard's final career totals when he retired in 1960 were 544 goals and 965 career points and he surprisingly never led the league in point scoring. In 1968-69, aided by the recent NHL expansion to 12 teams which created a longer schedule of games against some admittedly weaker opponents, Howe achieved his one and only 100 point NHL season with 44 goals and 58 assists for 103 points. 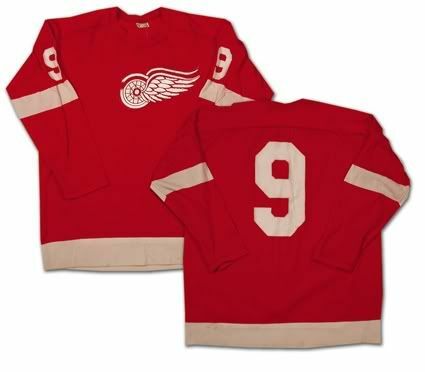 Today's featured jersey is a 1970-71 Detroit Red Wings Gordie Howe jersey. 1970-71 would be Howe's final season with the Red Wings. 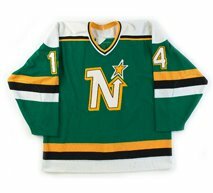 This jersey was auctioned off in March of 2006 for $3,536.34 with the description stating that Gordie "could have worn it." Today's video is the "Legends of Hockey" profile of Gordie Howe. Here is an unusual find, Gordie Howe on the TV game show, "What's My Line?" being questioned by Hogan's Heroes' Colonel Klink Werner Klemperer and Soupy Sales. Howe's legendary toughness is apparent, as he is unfazed at being interrogated by a Nazi prison camp commandant. Dasherboard: From the "I Didn't Know That Department", on this date in 1941, the Boston Bruins tied an NHL record by scoring four goals in the 10-minute overtime period to beat the New York Americans 6-2. Overtime was a mandatory full 10 minute period before it was discontinued in November 1942. We had no idea overtime was ever a set period of time and not "sudden death" like we have only ever known.